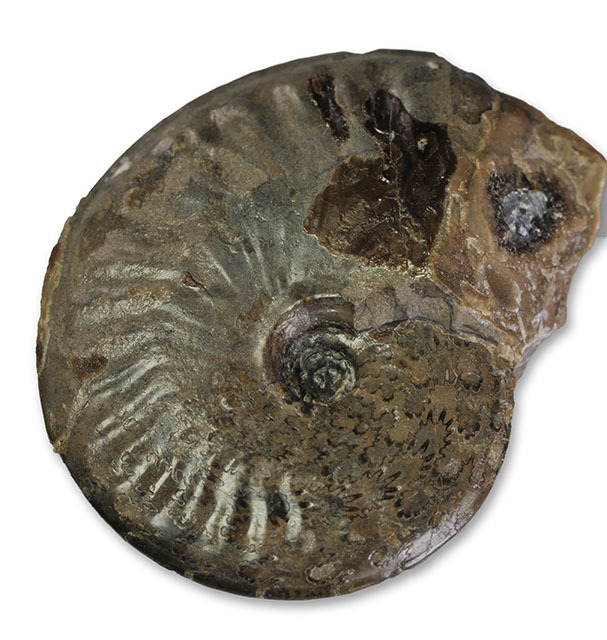 Pseudolioceras is a relatively common ammonite with 2 to 3 Yorkshire species, with P. lythense from the bifrons zone (commune & fibulatum subzones) being considered the ancestor of the later, thouarsense zone (striatulum and above subzones) P. boulbiense. more zonally aligned material is needed for a statistically safe distinction. 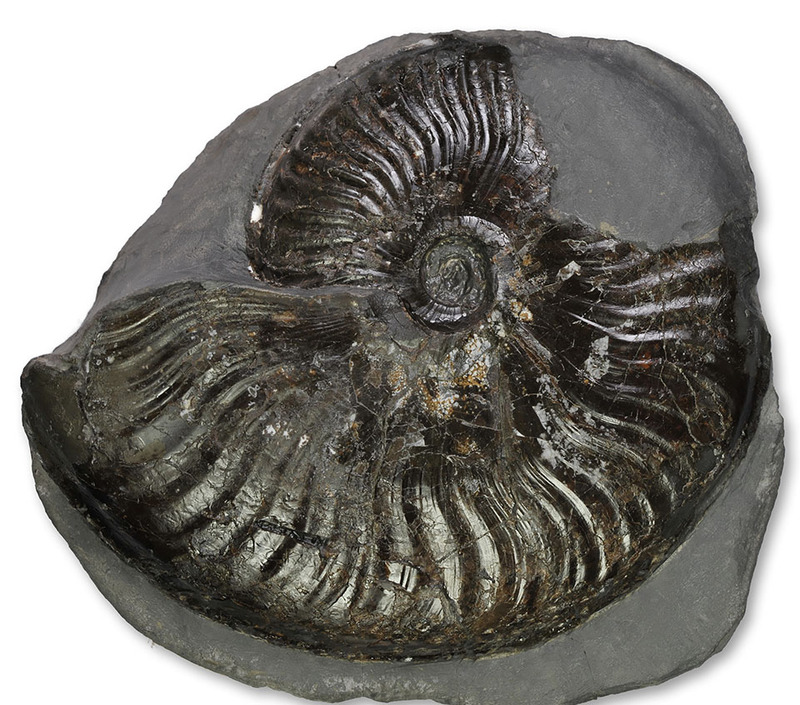 The holotype of “P. 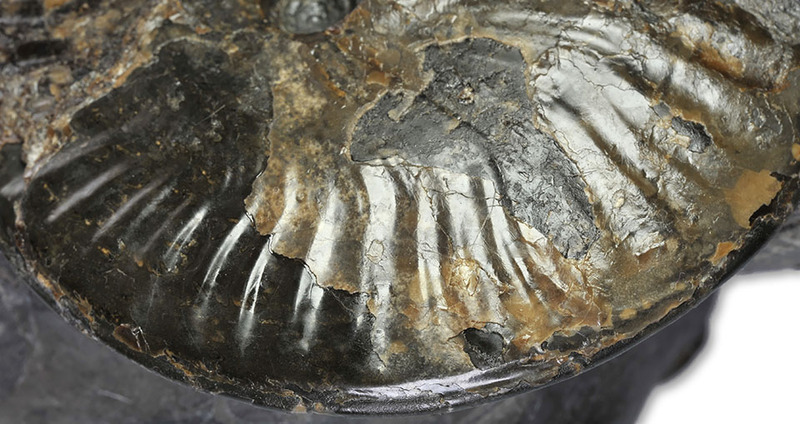 subconcavum”, which can be seen at Whitby museum, differs from P. lythense in having thicker whorls and deeper furrows along the keel. Telling the difference between P. lythense and P. boulbiense is really rather simple and apart from the umbilicus also involves the bed and location you found it. If it´s above 7 cm, it is more likely to be a P. lythense – P. boulbiense above this size is rare. 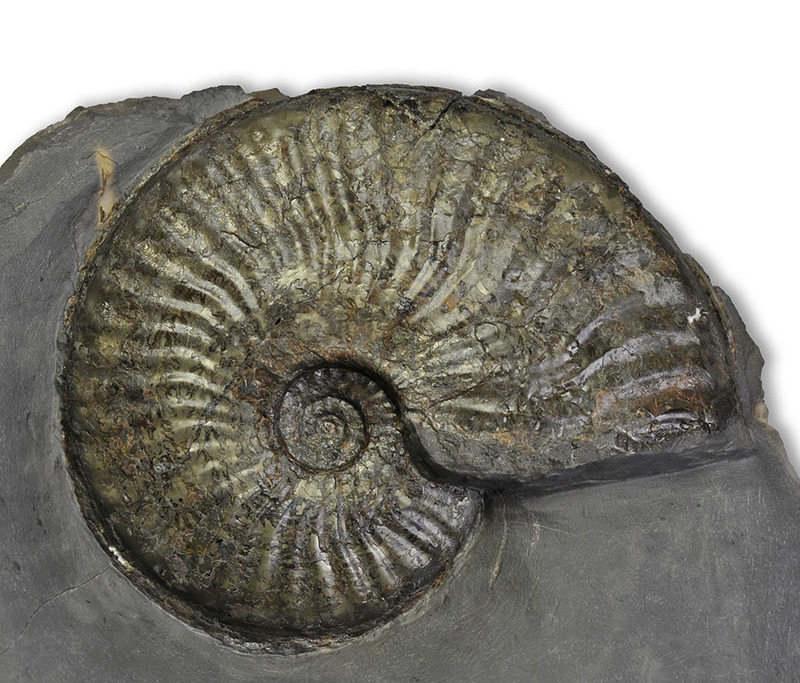 since the striatulum subzone is only really well exposed at Ravenscar – of course there may be exceptions. 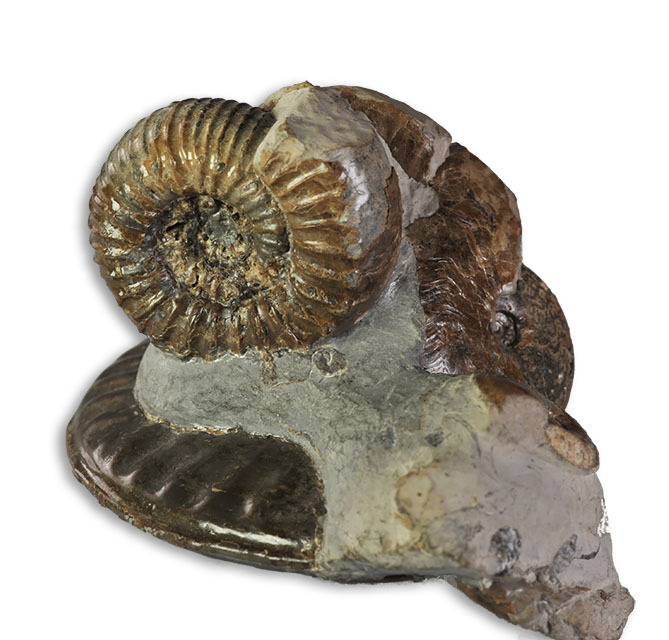 If you find it together with other ammonites of the same species, or even ammonite of other species, it is most likelyP. boulbiense. 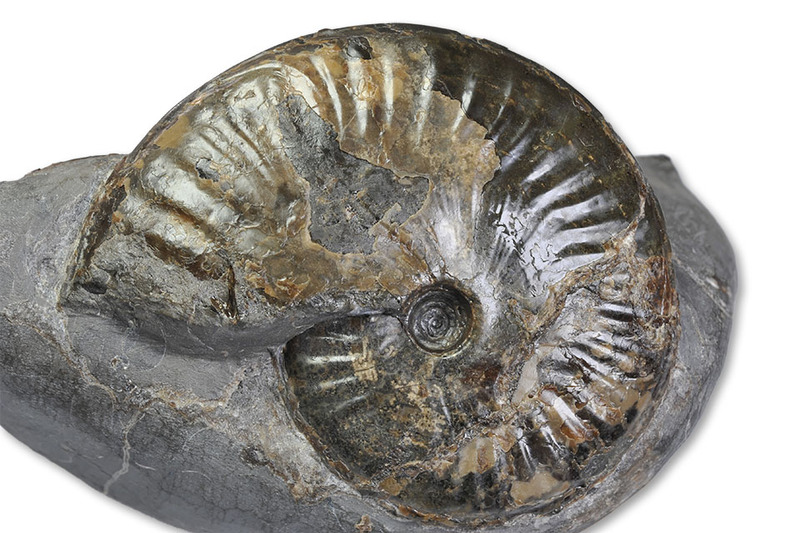 whereas P. boulbiense occurs most often associated with other specimen of the same species, sometimes even dozens or Grammoceras or even the odd Nodicoeloceras. 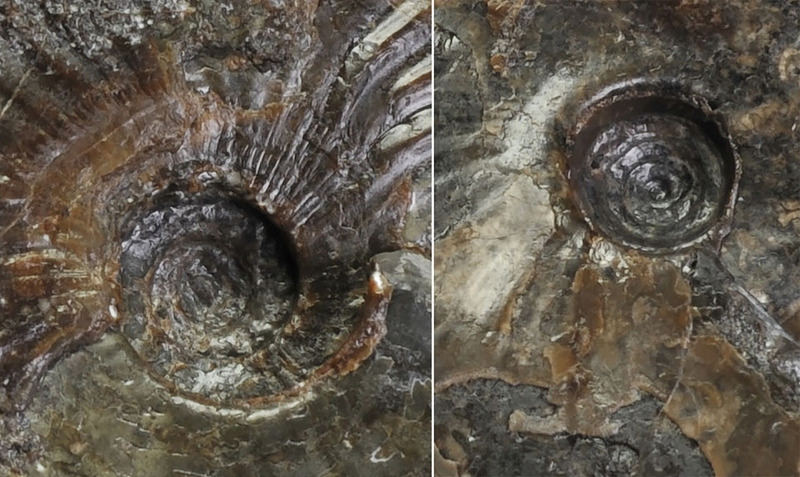 The U/D ration (width of umbilicus / diameter of shell) is usually smaller with P. boulbiense, with P. lythense´s wider umbilicus (with quite some variation) you can usually see more of the inner whorls when you look into the umbilicus as with P. boulbiense, where the inner whorls are just to be seen as a thin ledge inside the umbilicus, with the 7 cm specimen shown above, the width of this ledge is just 1 mm. 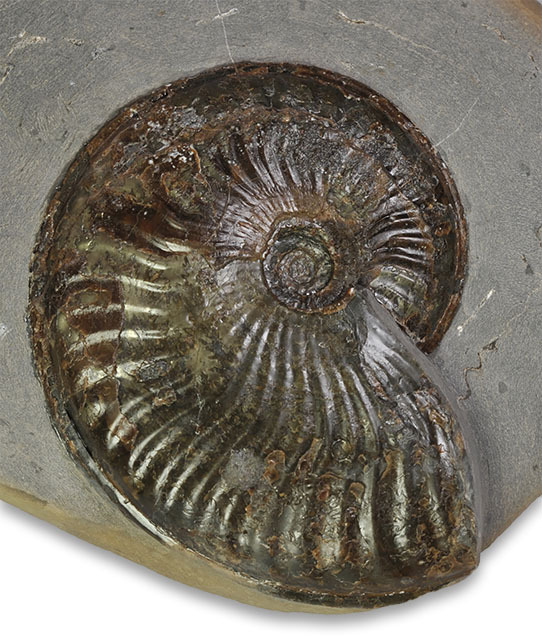 The umbilical walls of P. boulbiense are just slightly beveled, visible best with smaller specimen, whereas the umbilicals walls of P. lythense are vertical or even undercut. the ribs “stop” more abruptly before the venter, there is only a hint of a rib swinging forward. somewhat lacking and not up to what I today regard as my standards for preparation. 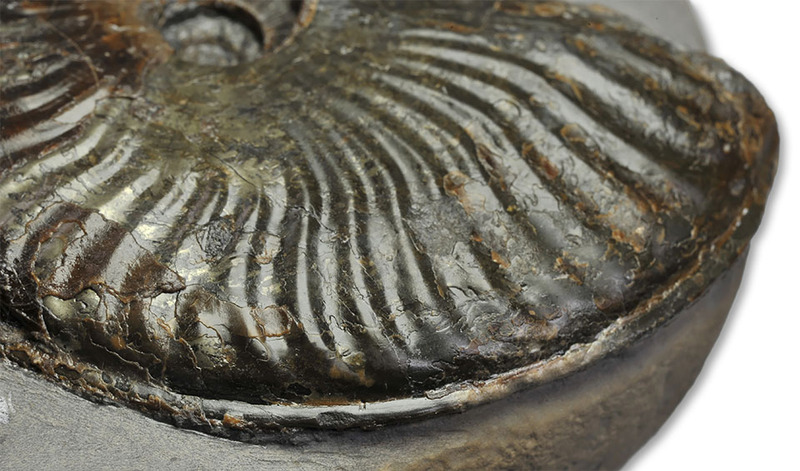 slowly peeling it out of the encapsulating rock makes it easier to capture and understand the essence of the ammonite.